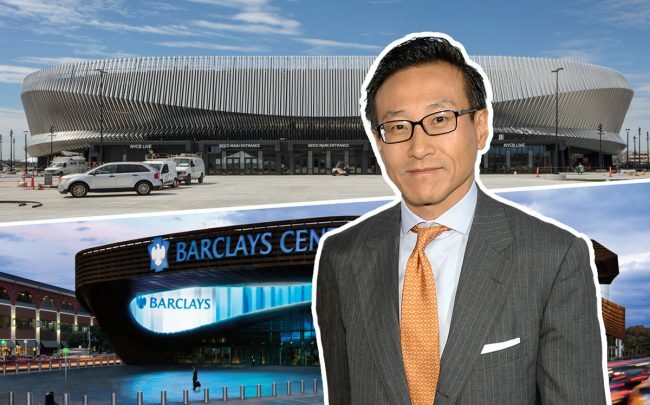 Alibaba co-founder Joseph Tsai is in talks to buy Brooklyn’s Barclays Center and Uniondale’s Nassau Coliseum from Russian billionaire Mikhail Prokhorov. The potential deal would help Tsai later become the majority owner of the Brooklyn Nets NBA team, the New York Post reported. Tsai is already a minority owner after buying a 49 percent stake from Prokhorov for $1 billion last year. The real estate deal would give him the rights to buy the rest of the team before the 2021-2022 basketball season for $1.35 billion, the report said. Buying the Barclays Center works in his favor because the NBA likes for owners to own the arenas in which their teams play. The sale would also be favorable for the NBA, which is eyeing an expansion of the League in China, since Tsai — whose estimated net worth is $9.9 billion — is a member of NBA China. A spokesman for Barclays and the Nets disputed the report, the Post said, and declined to give further details. At the same time, the deal allows Prokhorov to offload his stake ahead of schedule. The negotiations come as the Nets are suffering the worst attendance of the NBA’s 30 teams — even as their performance has improved. The team wasn’t making money as recently as last year, the report said. Last year, Prokhorov and Tsai agreed to provide the team with the necessary funding to meet its expenses and payment obligations.